Arrowhead Tang Soo Do is a total fitness center. Traditional Tang Soo Do is taught here in a premier environment with the best equipment. Sa Bum Nim Argentine (Master Argentine) began her training in 1999 under Master Ricky Jackson, in San Bernardino, CA. As a survivor of a violent crime herself in 1984, it took Master Argentine almost 16 years to seek the healing and gift of martial arts training. Master Argentine started her own school, Arrowhead Tang Soo Do (ATSD) in Highland, CA. in 2010. In a short three years ATSD has become one of the largest Tang Soo Do School in Southern California. 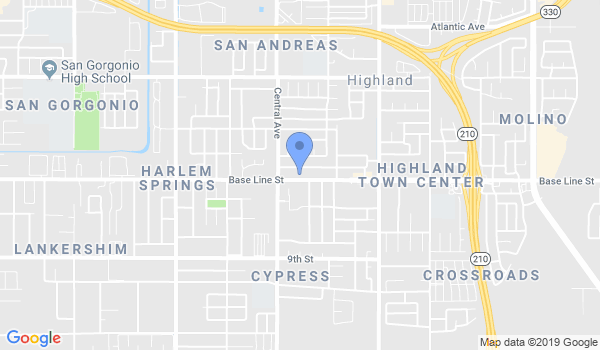 ATSD classes are currently held at 27000 Baseline, Highland, CA. Providing classes to ‘Itty Bitty’ through ‘Adults & Advanced’, varying from ages 3 to over 50 years old. Would you like more information on hours, classes and programs available at Arrowhead Tang SOO DO College Of Martial Arts? Please contact the school with your questions. Update the details, Write a Review or Report Error of Arrowhead Tang SOO DO College Of Martial Arts. View all Dojo in Highland or in Zip code 92346.